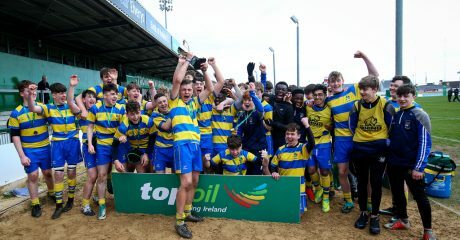 St. Jarlath’s produced a brilliant defensive effort to withstand a St. Raphael’s onslaught and claim the Top Oil Connacht Schools Senior Emerging Cup. 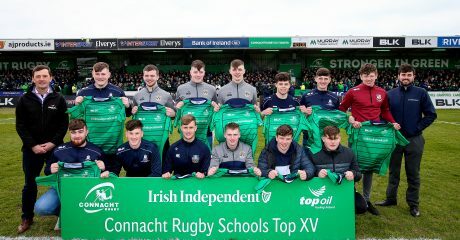 In brisk but bright conditions at The Sportsground, the Tuam school were able to hold out an Athenry side who dominated territory and possession for much of the second half, with the game in the balance up to the final whistle. It was Raphael’s who got the opening score of the game – Ewan Walsh crossing over in the Main Stand corner after 21 minutes. 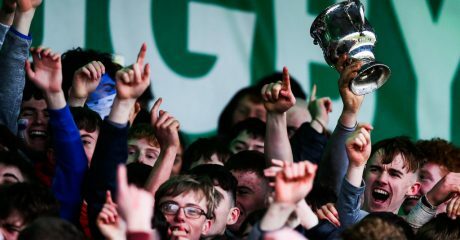 However Jarlath’s responded with a try from Daithi Gleeson which was converted by Luke Cronin, giving them a 2 point lead at the break. 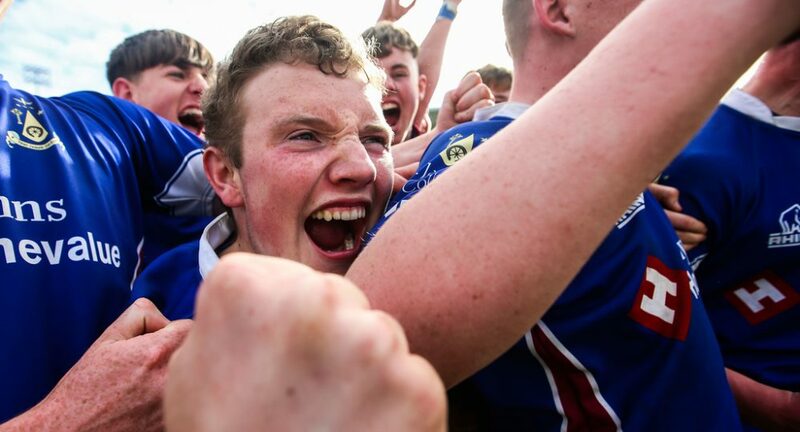 A further Luke Cronin kick early in the 2nd half stretched the lead to 5, but from then on it was a case of the defence seeing the game out as Raphael’s couldn’t find a way through.